The System Preferences dialog controls just about everything on your Mac OS X machine, from trackpad behavior to screen timeout delay. If you’ve never really delved into the menus though, you might not realize you can hide the settings you don’t regularly use, making it easier to find the ones you do. 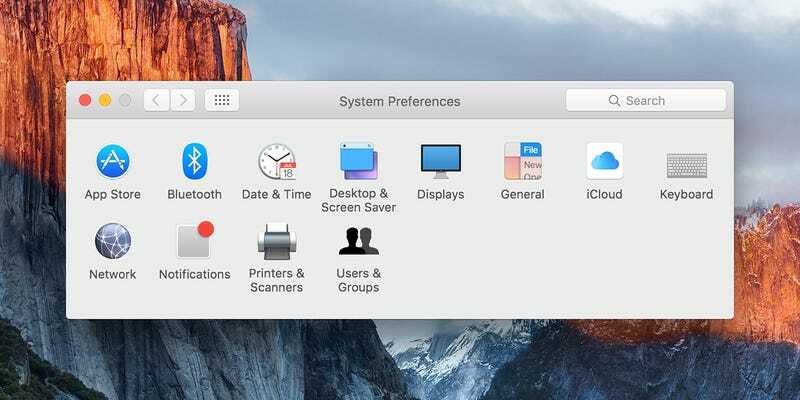 Launch the System Preferences window from the Apple menu then choose View and Customize to start making changes. Untick any options you don’t want to see, then select Done. This doesn’t delete anything, it just hides the relevant icon—you can still access all your settings from the View menu. There’s no point taking up screen space with the Parental Controls menu if you don’t have any kids, for example—it may not seem like a huge deal but it can make a difference. If you want to save yourself a line in the category view you can hide the Flash Player icon, as it still runs and updates in the background as normal.